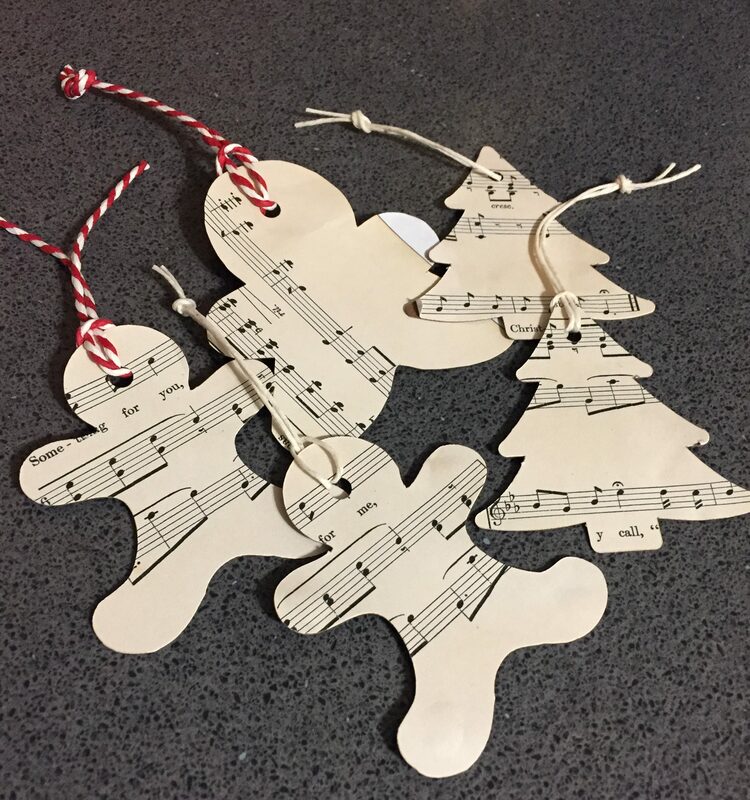 Today I bring to you easy to make music sheet gift tags, another under 30 minute idea. Don’t worry, if you don’t have any music sheets you can download them here. I printed the music sheets on white paper but realized it was too thin for gift tags so I glued the music sheets to card stock. I used my Cricut Design space and uploaded an image of a gingerbread man and a Christmas tree and sized them to what I thought would make a nice size gift tag and cut them out with my Cricut die cutting machine. 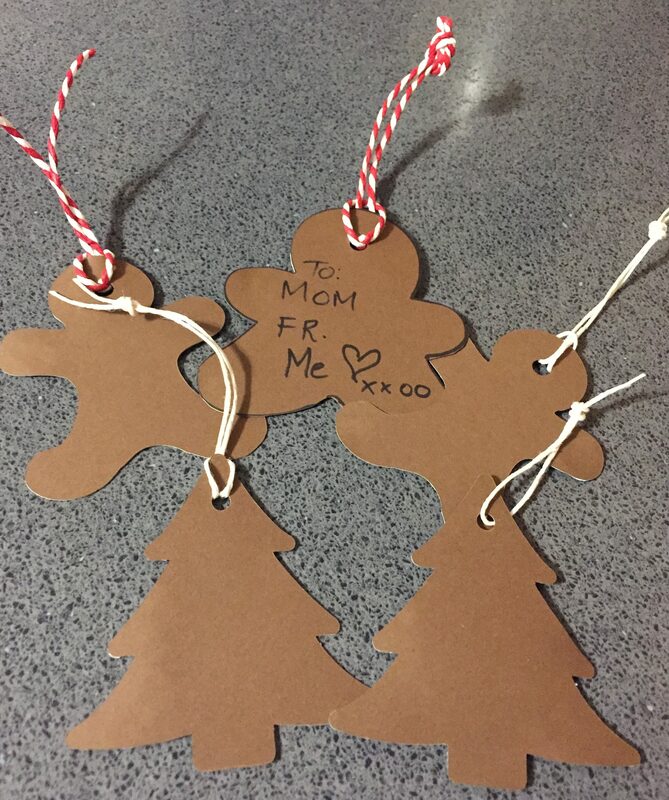 You don’t need an electronic die cutting machine to make these gift tags. If you have cookie cutters you can trace them on the music sheets or draw your own designs and cut them out with scissors. I used a hole punch to make room for twine. Cute handmade gift tags, in less than 30 minutes, now that’s a A Wandaful Thing! It’s been a great deal of fun preparing for this event, and I can’t wait to show you all of the Wandaful Things I’ve been up to. This entry was posted in 12 Days of Christmas, Decorate, DIY and tagged 12 Days of Christmas, 30 minutes or less, cheap, christmas tree, Crafts, creativity, Decorate, DIY, easy, easy to make, gift, gift tag, gingerbread, hand made, ideas, inexpensive, quick, repurpose, tag, under 30 minutes. Bookmark the permalink. Great idea. I can see recycling Christmas cards also as tags! Great idea. I could also see using them as ornaments.